UPDATED 7:42 P.M. EST (U.S.A.) Individuals associated with AdSurfDaily Inc. have been sued in U.S. District Court in Washington, D.C. The complaint alleges racketeering, and names Bank Of America a defendant for aiding and abetting the scheme. BOA was not named a RICO defendant. The case was brought by Mike Collins of Savage, Minn.; Frank Greene of Washington, D.C.;Â and Natures Discount of Aventura, Fla. It was filed as a class-action and has been assigned to Judge Rosemary Collyer, the same judge hearing the ASD civil-forfeiture case filed by federal prosecutors in August and a second forfeiture case against ASD assets seized in December. Natures Discount previously sued the same defendants in U.S. District Court for the Northern District of Florida, but withdrew the case. ASD President Andy Bowdoin, Golden Panda President Clarence Busby and ASD attorney Robert Garner were accused in the complaint of conspiring with unnamed parties in organized efforts to defraud. The complaint alleged the men were involved in “other” schemes beyond ASD, Golden Panda and LaFuenteDinero, and have “committed or aided and abetted in the commission of countless acts of racketeering activity,” including indictable offenses. Attorneys for the plaintiffs did not name the other alleged schemes. One of the attorneys, Steven N. Berk, is a former federal prosecutor and a former staff attorney for the Securities and Exchange Commission. Berk served as an assistant U.S. Attorney for the District of Columbia, and is a partner in Chavez & Gertler in Washington. Screenshot from Oct. 25, 2008. A second autosurf known as AdViewGlobal has known ties to ASD. Early promotions for the surf listed Juan Fernandez, chief executive officer of ASD, as “national sales manager” for AdViewGlobal. Meanwhile, a surf known as Biz Ad Splash is using a model that requires members to become “qualified distributors” after 30 days to take advantage of surfing rebates. ASD briefly tried a similar approach in July, according to a forfeiture complaint filed in December by federal prosecutors against assets linked to ASD. None of the new surf sites identifies the owners/operators. And they all list offshore registration — BizAdSplash and AdGateWorld in Panama, and AdViewGlobal in Uruguay. The IP addresses for each of the surfs resolve to Panama. 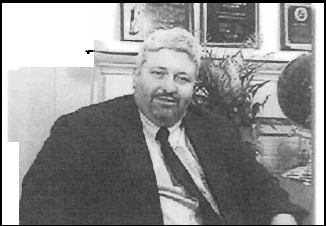 Plaintiffs in the RICO lawsuit outlined an alleged pattern of fraud and deceit on the parts of Bowdoin and Busby, citing their previous encounters with securities regulators — a felony conviction for Bowdoin in Alabama and a deal Busby struck with the Securities and Exchange Commission to settle charges he was a principal in three prime bank schemes that defrauded investors. Neither man disclosed their previous involvement in securities schemes to members before launching ASD and Golden Panda Ad Builder, the plaintiffs charged. Bowdoin spun an untrue tale of fabulous business success to recruit ASD members, and the company and some of its participants told lie after lie to separate people from their money, the plaintiffs alleged. Included among the lies were assertions that ASD was going to “sign up” more than 100 Fortune 500 companies “such as Google, Coke, Pepsi” and others to pay for advertising and generate revenue to pay for rebates. Another lie was that ASD had a contract to place ads for three companies and would collect “at least $13 million a year” as a result of the contract, the plaintiffs alleged. And the beat goes on and on and on!! We NOW learn perhaps Andy, Clarance and Garner were involved in additional schemes separating innocent “folks” from their hard earned money! The law firm handling this prospective class action has adequate resources to fully investigate this case. It lists among its “recent successes” a $105 million settlement with GMAC and a $76 million settlement in litigation known as the Transouth cases. It also has external resources — the talents of other lawyers/firms that have been investigating ASD — at its disposal. Well at least this time the BoA will not be pleading that the business model was legitimate. they have far too many economists and too much credibility to lose to defend that particular arguement and the arguement that “only andy understood” will probably even be too much for them. This will be interesting to watch and one suspects that Steven Berk and Co will not mess around nonsense as have previous “ASD member supporters” and will stick to the many many facts that they doubtless have at their fingertips, in order to prove their case. As a side note, the filings by federal prosecutors have the same sort of “pulse.” Legal documents sometimes are hard to read and boring past comparison. The Feds have produced motions/briefs that, in some places, reach the level of linguistic elegance. It could not be more clear that the prosecutors understand the business model perfectly and are able to reduce it to its bare elements. Remember all the complex forum explanations on how ASD could take 50 percent of its revenue and somehow find enough money to pay out 125 percent of what it took in? Some of the explanations required paragraph after paragraph of prose, followed by re-explanations. Imagine being a juror and hearing those words in the Age of the Ponzi. These dedicated public servants know exactly what they are doing, and the RICO lawsuit by Berk and colleagues has the same sort of economy. Where can we see the documents Patrick? After reading (1) the Civil Complaint No.1 which was an appalingly badly thrown together piece of work, even though they did better in court and (2) then the various ASD responses which looked a little better, but were short on evidence in their favor, it would be a pleasure to study a well put together arguement by SOMEONE! Is this involving Clarence Busby Sr. and/or is his son Clarence Busby Jr.? Is real estate also involved? Please respond. Thanks. Here is the RICO complaint, alasycia. This is Walter Clarence Busby Jr. of Acworth, Ga. He identifies himself as a minister. Do you know anything about any real estate dealings? We are buying a house from him and can’t seem to get in contact with him. The last we heard, he was overseas starting up an internet company. We are a little concerned. Yes, the same Clarence Busby is in the real estate business, according to his court filings in the ASD case. What will be interesting is what will happen if the abovementioned actions are successful. One would think that the DoJ have any ASD/Bowdoin property so well covered a guilty finding would be “hollow” in terms of compensation being available. A postive outcome with regard to the others, particularly BoA, would certainly be a different kettle of fish. Does anyone know how we can become a member of this class action suit against ASD? We have tried to contact him for the past couple of months with no reply to voice mail or fax. Just concerned about our property. Any additional information anyone can provide to me will be much appreciated. Remember too the ruling of Judge Collyer, who did a masterfull shred-job on the ASD case. She too clearly understood the model. Reminiscing, my favorite part was where she opined that ASD’s expert witnesses essentially sealed the case for the government….. Please be careful. Busby may also be subject to legal seizure of his properties due to his promotion of a variety of alleged Ponzi schemes. Not sure what risks you might be taking here. I would suggest contacting a lawyer well-versed in fraud situations. You need to know whether or not you can legally buy this property. You also need to know whether or not this property has a possibility of being seized by receivers, and whether or not the property could be reclaimed from you. In the Petters Ponzi case that is ongoing, several of the insiders are in hot water for selling property that was due to be seized. The purchasers of the property may not be able to keep it either. honesty: Do you know anything about any real estate dealings? We are buying a house from him and canâ€™t seem to get in contact with him. The last we heard, he was overseas starting up an internet company. We are a little concerned. snailspace: Does anyone know how we can become a member of this class action suit against ASD? Thank you for the information. He sold us the house under Legacy Premier Properities. I can’t seem to find any information on him/the company. As you can understand, we are concerned and feel he must not be in the country. Last we spoke with him, he mentioned going to India to set up a new internet business. We have sent a certifed letter and have not yet received proof of delivery or a reply. Not that we have any claim in the above mentioned complaints, but we are concerned that we will lose our home. If you or anyone has any information to share with us, we would be greatful. Go to the Georgia Secretary of State site. Legacy Premier Properties is listed there. These two entries include an address for Busby.